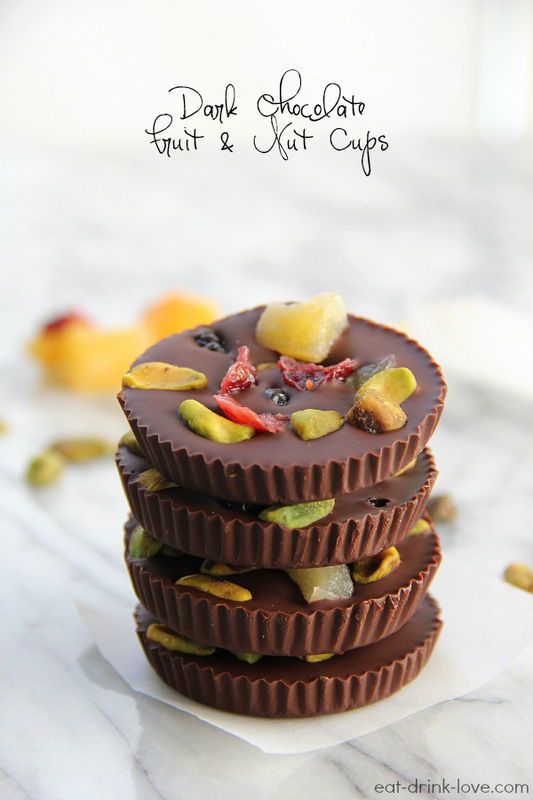 Dark Chocolate Fruit and Nut Cups - Eat. Drink. Love. Today we are making our own candy. It only takes 3 ingredients too. 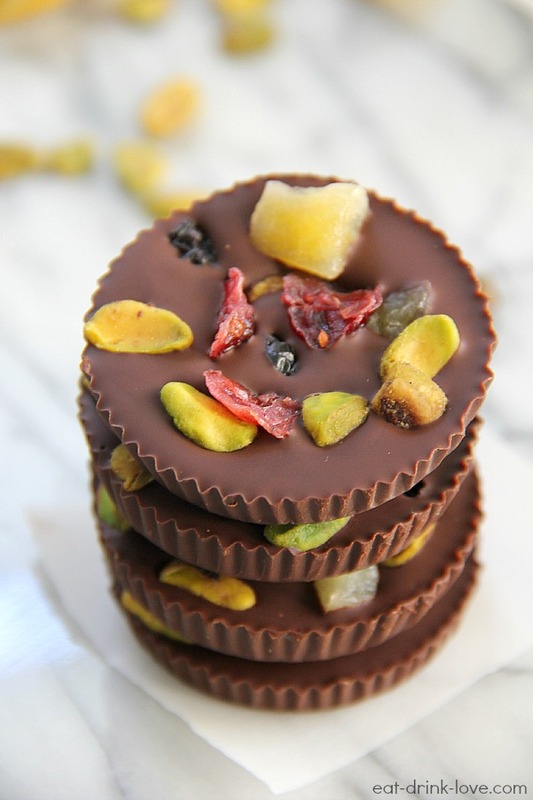 Just some dark chocolate and dried fruits and nuts of your choice! My husband and I have recently discovered the wonderfulness that is just eating a handful of plain chocolate chips straight from the bag for dessert. I mean, obviously we still love actually using them in cookies and other goodies, but for a quick sweet tooth fix, they certainly do the job! When it comes to chocolate and candy, I’m all about texture. I love nuts in my candy, my husband is the exact opposite, but I love the combination of sweet and salty. Sometimes I will eat chocolate chips with handful of nuts too, so why not just melt them all together?! And for me, I’m a dark chocolate girl all the way. I prefer the richer taste and that it’s not overly sweet. Here’s what I love about these: 1. They take like 10 minutes to make, and 2. There’s no rules with these. Got a particular favorite nut? Add it! 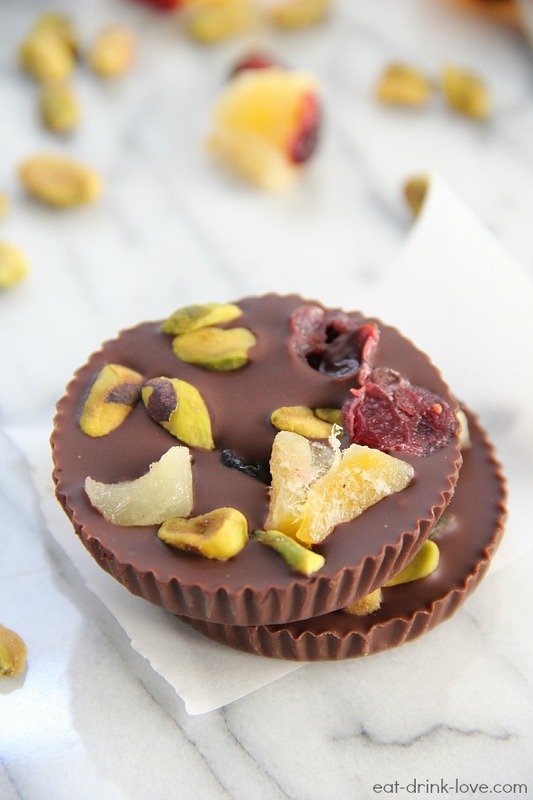 Have a favorite dried fruit? Add it! You really can’t go wrong here. 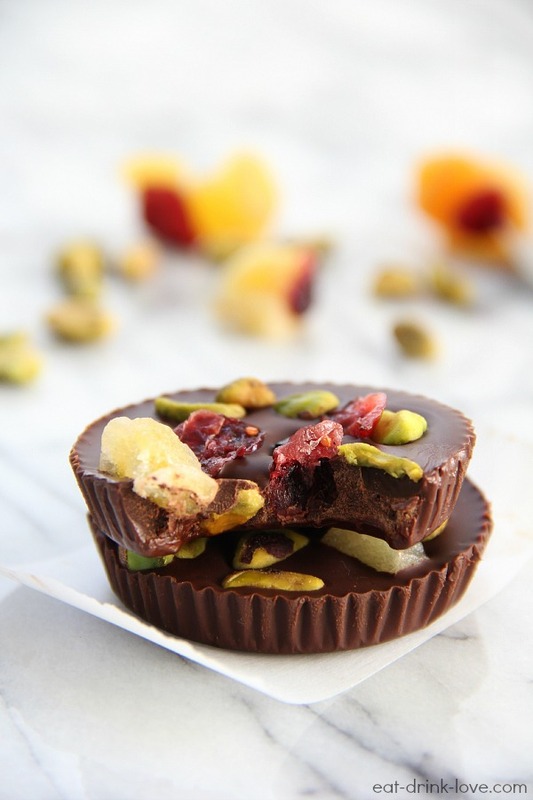 I added pistachios and a mix of dried fruits. You don’t need to add any extra ingredients! I do highly recommend using good quality chocolate here, trust me when I say it does make a difference! Line a muffin tin with muffin liners. Prepare a double boiler by placing a heat-safe bowl over a pot of boiling water. Add the chocolate to the bowl and stir until completely melted. 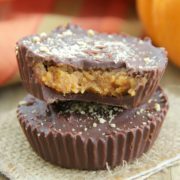 Remove the bowl and then add about 1 1/2 to 2 tablespoons of the melted chocolate to each cavity in each liner. 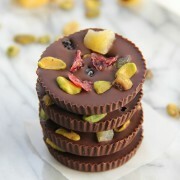 Then sprinkle the nuts and fruit into each one, pushing some pieces down a little with your finger. Let the chocolate chill for about 20 minutes. Then place the pan into the refrigerator and let sit for at least an hour. Pull the muffin liners off each cup and then store in an airtight container in the fridge and enjoy! You are a girl after my own heart. Love these! Love this idea!! 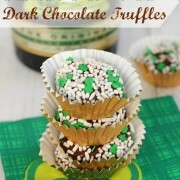 So easy but beautiful and of course chocolaty! These are so elegent! 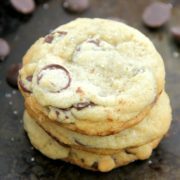 Chocolate chips out of the bag are the best easy treat! Making your own candy is always so much fun! These cups look great, mmm! Oooh, I love these! Easy and delicious! Oh my, these are just stunningly beautiful Stephanie. I am in awe of how pretty these are. Great recipe and great photos. It reminds of those fruit and nut bars you can buy, but way more classy and elegant. Love it. 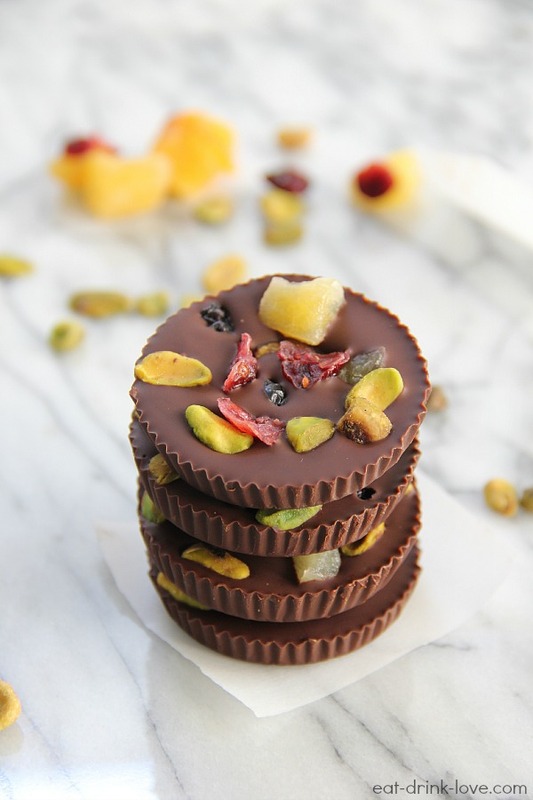 Pingback: Candy Recipes - 15 Sweet & Scrumptious to try and Save!